In a large bowl, combine kielbasa, sauerkraut, onion, apple and caraway seeds. Divide mixture among 4 sheets of foil, lift edges of foil up so it forms a small bowl. 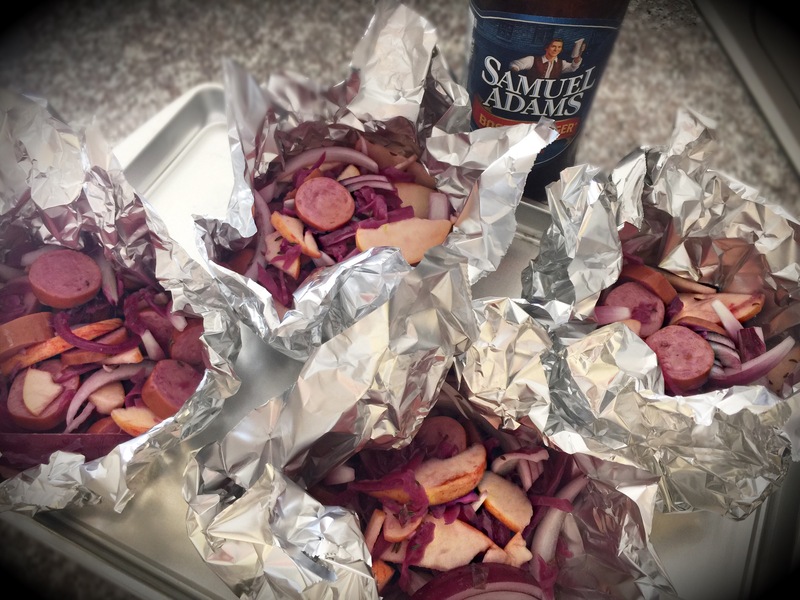 Pour 1/4 cup beer over each bowl, then seal packet and cook 15 minutes. Serve.